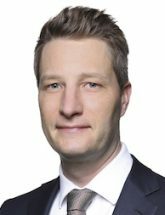 Carsten is partner at Linklaters LLP and based in the Frankfurt and Munich office. Carsten has specialised experience in real estate transactions and real estate private equity. He has been involved in a number of high-profile transactions with a total volume of several billion Euros. His experience includes portfolio and large single asset transactions in all asset classes including offices and retail. He recently advised on some of the largest cross-border transactions in the logistics market. Carsten is a member of the Executive Committee of the Urban Land Institute (ULI) and its Local Chair (Munich). Before joining Linklaters, Carsten was Head of DLA Piper ́s International and German Real Estate Practice.